Thalassemia is an inherited blood disorder which is caused by an abnormal gene. A person with Thalassemia is unable to produce normal hemoglobin in the blood. What are the causes of Thalassemia ? Thalassemia is an inherited blood disorder which is caused by an abnormal/missing gene. A person with Thalassemia is unable to produce normal functioning hemoglobin in the blood. What are the symptoms of Thalassemia ? The symptoms vary with severity of thalassemia/anemia. The common presentations include lethargy, shortness of breath, palpitations, giddiness and pale appearance. What are the different types of Thalassemia ? A person who has inherited one Thalassaemia gene is said to have Thalassemia minor (Thalassaemia trait). He or she is healthy and leads a normal life. Most people with Thalassemia minor do not know that they have it. However, the affected persons can pass on the abnormal gene to their children. Is Thalassemia an inheritable disease ? •none of the couple's children will get Thalassemia major. •25% chance of having a normal child. How is Thalassemia diagnosed ? How is Thalassemia treated ? The treatment will usually depend on the underlying cause of Thalassemia/anemia. Blood transfusion may be required in certain situations, and can sometimes be life-saving in a severely anemia patients. Can Thalassemia be cured ? The only cure available for Thalassemia Major Patients currently is a Blood Stem Cell transplant from a donor who shares the same tissue type. But unfortunately, most patients are not a suitable candidate. As they do not have a suitable sibling, a parents match or an unrelated donor to offer them the chance of life. Patients face lengthy period of time battling the illness. Along the way, some of them start to doubt and thoughs of giving up starts to build within them. We plan to have a physical show of support to them. We will have volunteers running throughout the whole event. This is to show patients that we are willing to "run" with them throughout their treatment period. 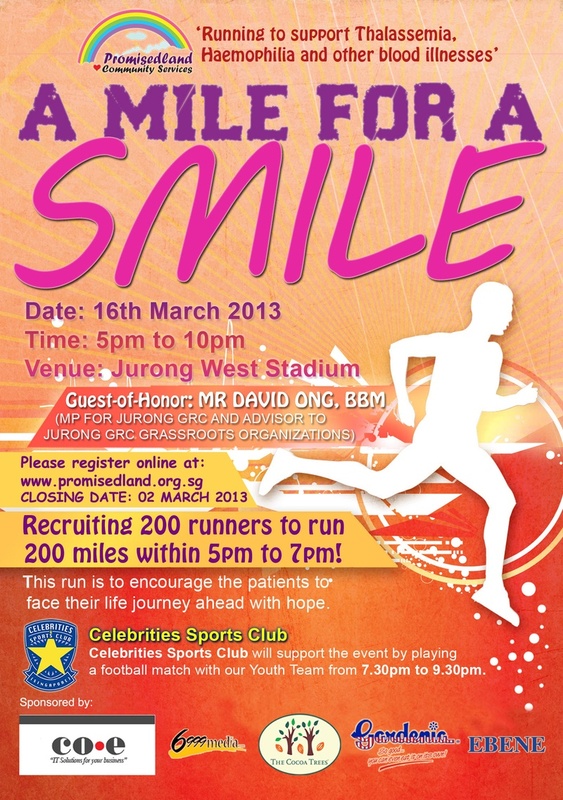 Hence, the theme: "A MILE FOR A SMILE"
We are recruiting 200 runners to run 200 miles within 5pm to 7pm. The reason for this run is to encourage the patients to face their life journey ahead with hope. Awareness booths will be set up by KKH Hematology Department. This will help the public to gain better understanding of the blood related illness. Celebrities Sport Club will support the event by playing a football match with our Youth Team. The football game will commence at 7.30pm to 9.30pm. Hopsital staffs, patients and their families are invited to watch the game. Volunteers would be on site in helping of crowd control and also first aiders would also be engaged throughout the event for the safety of the "runners". There are actually no obvious signs and symptoms on minor iron overload in Thalassemia Major Patients. 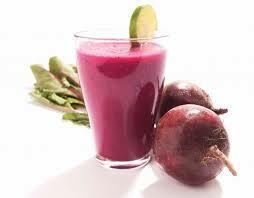 But as the iron levels are in the process of increasing, some signs and symptoms below might began to occur. The triad of bronze skin, enlarged liver, diabetes mellitus and even enlarged of heart is presented in cases of severe iron overload. One of the main factor that contribute to the persistent tiredness in Thalassemia Major Patients is the low hemoglobin level. During the period of low hemoglobin, thalassemia patients tend to feel tired more easily and in other words need to have longer hours of sleeping time. These triedness feeling will usually retrieve, soon after patients blood transfusion session. Where hemoglobin is being replaced in patients body. So what are the other cause of persistent tiredness in Thalassemia Major Patients, when their hemoglobin level is within the normal range? Persistent tiredness can also be sign and symptoms of iron overloading. Therefore it's important for patients to take into consideration both their hemoglobin and iron level when targeting their cause of persistent tiredness.